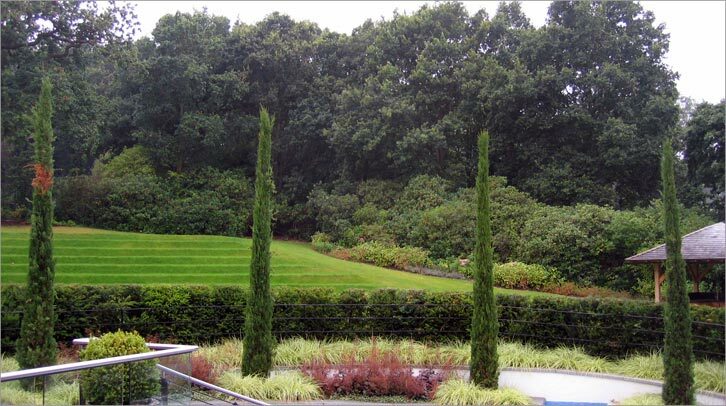 An extensive Landscape and Garden design project within a private estate in Moor Park. 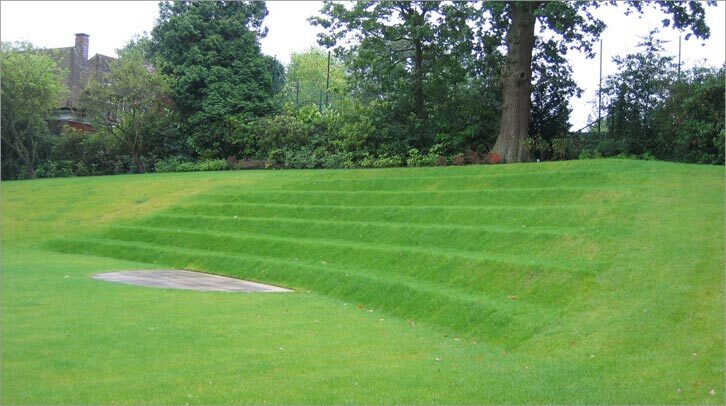 The rear garden has a magnificent sculpted lawn with grass steps moulded and contoured. 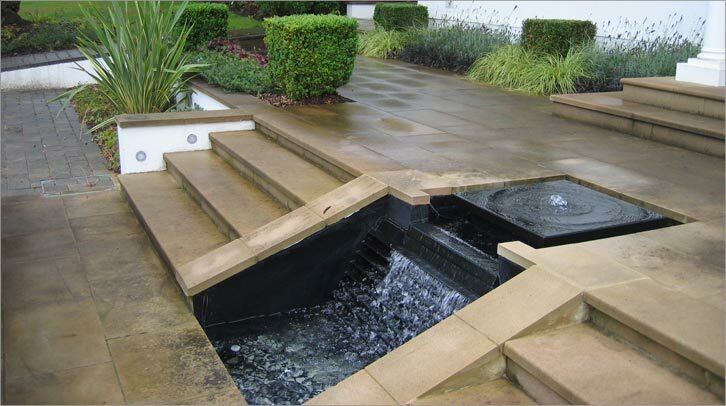 A rear garden terrace weaves around and down into a sunken courtyard space that has a slick water wall cascading down. 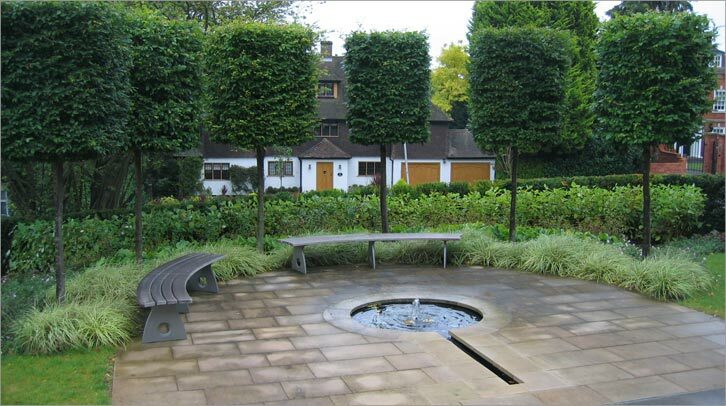 The front garden arrival space has two water features, and modern planting design of clipped Tilia (lime) trees and squared box hedges. The high quality York stone paving has a quality feel and reflects the traditional style of the house. 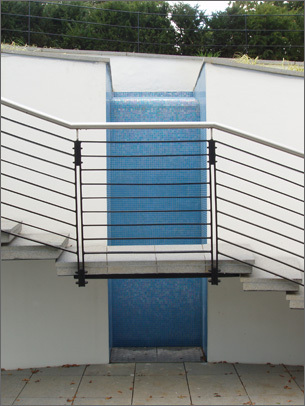 (Project with Philip Cave Associates).